is the new blog down? checked on two browsers seem fine to me. http://blog.otherworldgame.net/ <--- I keep getting a completely different site. 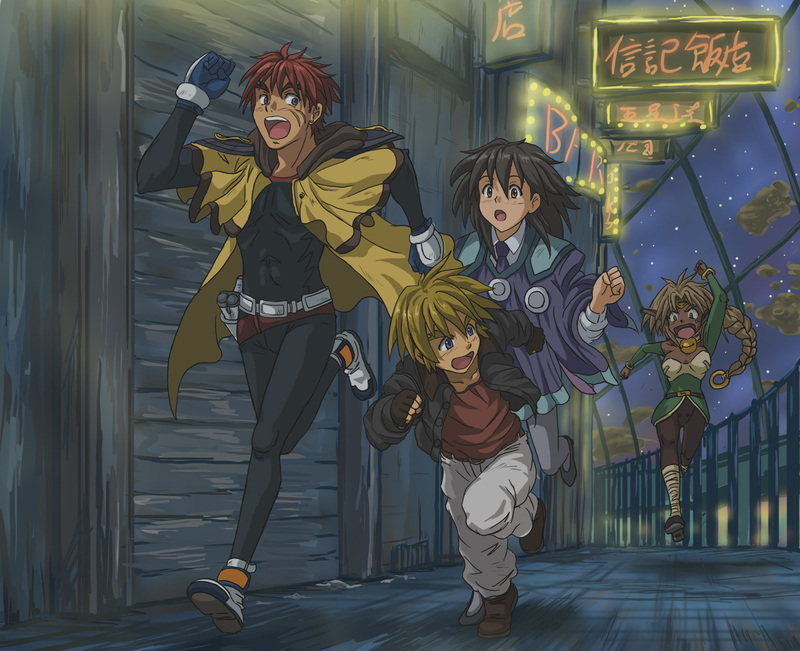 Outlaw Star! My favorite anime! This looks interesting, but is there anything to actually download yet? is this site down ? any chance for the latest download ? Last I heard the dev was a victim of a gerbil buttplay gone horribly wrong. anyone have the latest version of this game? "Hi it's Daisy, I do apologize that I have had to abandon Otherworld. It's unlikely that I will be able to touch it anytime soon as I just do not have the time I used to and would hate to see it die all together. If anyone wants to mod it and what not please go ahead, the game was designed to be modded after all. so has anyone picked this up yet? does anyone can tell how to start the fcking game? I imported whole svn but can't find any exe file. I like to say even if it looks fine to you other are not getting though. I tried so many times to get though nothing works and I played your very outdated one and I am close to not playing ever again. I sorry but If you cant fix this in a way where others can get to the website many will soon abandon this and move on as one that might if you cant fix this not being rude but I just dont see how this correct nothing is working I have no defense or blocker blocking it and I been at this for a while now days to exact and I am close to forgetting this and leaving this. look at it more some or rare amount may get though but most of us (I myself cant) can not get though and just to say people will not stay forever if this is not fixed. I am sorry if I was rude or offensive to you or anyone else please look at this and fix it for all of us. Daisy, will you come back please!!!?! its been so long......anyone heard anything? huh i havnt looked at this page in so long. im surprised its still up. as to your question fur-man. ill point you to pedro grillo as of may 30 2015. where daisy pretty much said this is dead. is she working on something else? idk. is she alive? idk. all i can say is that this game is... well doa and you should try another one. tho it is a shame as this was pretty decent. is the game still up? no? anyone have copy of it? Is there a download for the very latest release from before they stopped making it? If so can you post the latest release on mediafire or something? Or maybe even email it to me at garretwilson0@yahoo.com? Now it's 2019, and I still haven't found the download address of the game. Is that over? Come on, Daisy, your years of hard work are going to disappear. Testing out the new blog.